Historians located the presence of the first occupants one century before Jesus Christ, The Ligurians. These transalpine people who dominated the western end of the known world of the time, settled on a promontory, the actual Le Suquet, and erected an oppidum or fortified camp. No archaeological vestige does attest to the occupation of the site by the Ligurians, but they were named barbaric by the Greek geographer Strabon. Turn and look to the sea to find traces of these early tourists. 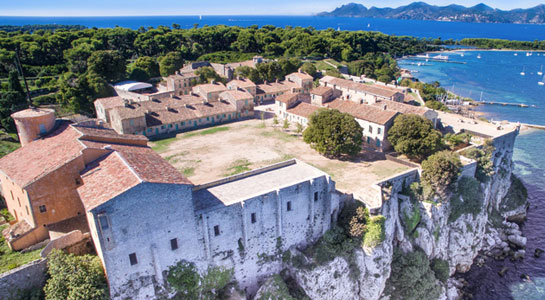 More than the seaside, the Lérins Islands attracts the covetousness of this maritime colony. Natural harbors for the sailors from the west they were originally called Léro and Lérina. Today the current names Sainte-Marguerite and Saint-Honorat constitute the last safe anchorage before Antipolis, the future Antibes. A campaign of excavations in the years 1970 and 1980 updated the richest archaeological deposit of the archipelago, exhuming the remains of the oppidum Vergoanum under the terrace of the Royal Fort in Sainte-Marguerite. Lérins, Léro, Lérina, are names which take root with Lêron and Lérine, two local entities venerated by the sailors of passage. Conquerors, the Romans aware of the strategic importance of this archipelago, started sooner to fortify an Acropolis on the big island at the actual place of the Royal Fort. In landing in Sainte-Marguerite, you can admire the remnants of an old Roman villa. Many other remnants are visible in the island, but also on the coast, including at the butte Saint-Cassien, the most important ancient site of Cannes. The city organizes and maintains flourishing trading relationships with the central and southern parts of Italy. A natural disaster can open a new chapter in the local history. At the end of the Roman Empire, the Christian Church evangelized Europe. The hermit Saint- Honorat founded a monastery on the island that would bear his name. His aura is such that the abbey became a spiritual Christian center where important evangelists came to train as for example Patrick, the Saint Patron of Ireland. No myth without legends. Legend has it that one of the almond trees of Sainte-Marguerite had the goodness to flourish each month to offer Marguerite a monthly visit of her brother Honorat, and that a real tidal wave would come as the monk would call his prayers for eradicating the snakes from the island. 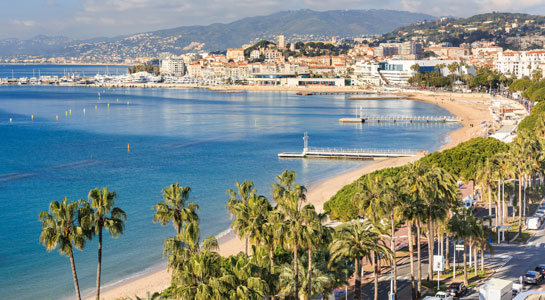 This short history of Cannes propelled us directly from the middle ages, which sealed the importance of the Suquet in the defense of the site, up to the Old Regime, marked by the plague in 1520 and the rivalry between the local lords and the Aragonese. 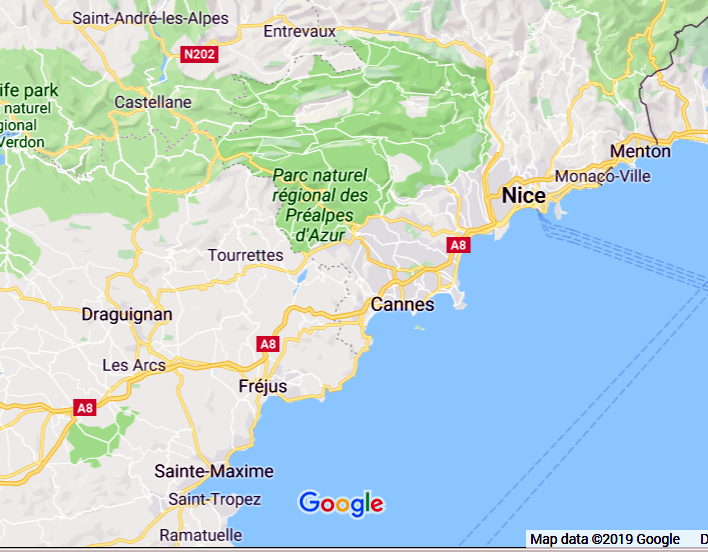 It was only in 1481 that Cannes and the Provence were integrated in the kingdom of France. The Lérins Islands fell into the hands of the Spanish in 1635, to return quickly under the French banner. Erected by Vauban shortly after, the fort of Sainte-Marguerite will be also a prison used by all regimes. His most famous lodger the “man in the iron mask” who spent eleven long years on it. Each princess has her good fairy. It will take the features of a grand Chancellor of England, Lord Henry Brougham and Vaux. In December 1834, on his way to Italy to visit the haystack of his daughter Eléonore-Louise, Lord Brougham stopped over at Cannes. Charmed by the bay, the Estérel mountains, the islands, and the softness Provençale, …. In a few years, the village of fishermen was transformed into a seaside city and attracted all of London’s good society. 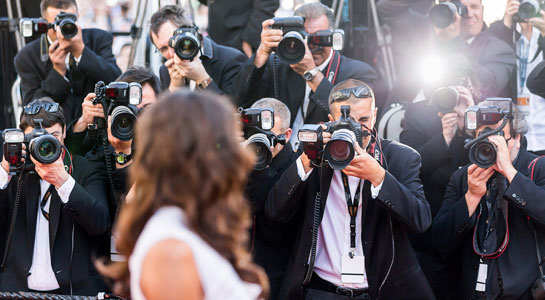 Cannes then began a great love story with the world.